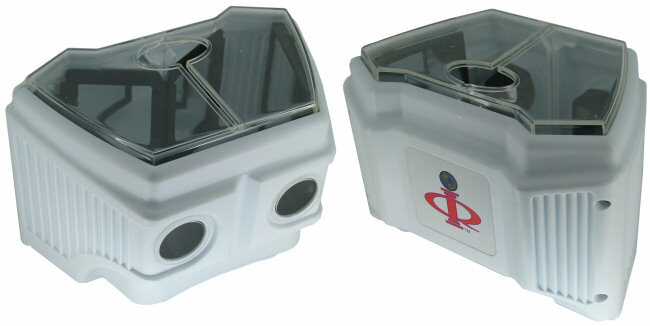 The plastic 3DIQ viewer was first manufactured by the XM Corporation in Rochester, New York, USA in 1999. The model shown below is known as the Premier 3D Viewer, but there were also folding cardboard viewers available. The product was primarily marketed as an economically priced toy and children's educational aid, but it was also intended to be used as a business promotional tool. The stereo views, referred to as 'trading cards', came in packs of 20. Each set had an explanatory booklet included. 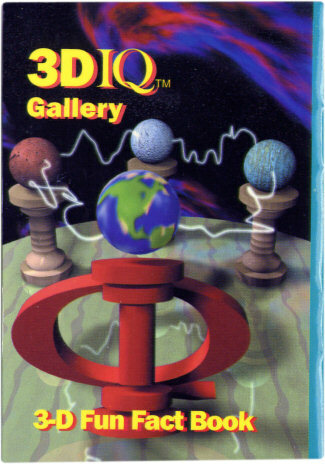 The 3DIQ Viewer uses a really unusual method to obtain a 3D image. A card with one half of the stereo pair printed on each side is slotted in to the viewer from the top. The images are then reflected from the side mirrors onto the mirrors on the back wall of the viewer and are subsequently viewed through the lenses. 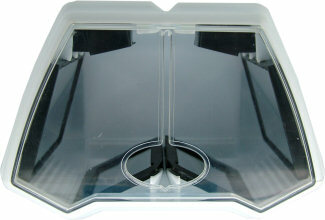 Light enters the viewer through the clear plastic top. A couple of 'Trading Cards'. Use 'parallel' or 'cross eyed method' of viewing to see the stereo effect. The device is covered by Patent no. 5517355, which was originally placed in November 1994 by Katharyne Sullivan and John R. McCart under the title 'Card adapted for use in stereoscope'.